Patti Cocuzzo and her partner, Kathy, were ready to make a move. They found a buyer for their unit in Lydall Woods Colonial Village in Manchester, but at the final inspection, everything changed. "My realtor texted me and said it's a "'no go." The inspector said that we have the same problem that many people in Connecticut have with the crumbling foundations," said Cocuzzo. Patti and Kathy had no idea about any foundation problems in their community. They called contractor Don Childree for confirmation. He's worked on dozens of homes with crumbling foundations, and recognized the unusual cracking right away. "It's the typical problem with the pyrrotite," said Childree. An email from the property manager shows the association has been aware of the concrete issues for years. "If we bought a house in 2011 and they knew about this problem, they'd have to disclose it to us. But we didn't buy a house, we bought into an association, so what makes it okay that they didn't tell us about that?" said Cocuzzo. Matthew Perlstein, the attorney for Lydall Woods, acknowledges the association knows about the problem, but said the duty to disclose any foundation issue would fall on the seller of the unit. "If a unit owner requests, the association will prepare and deliver what's known as a resale certificate," Perlstein said. That includes details of the budget and any upcoming capital expenditures. In a typical condominium, the cost of fixing a foundation would be shared by all the owners, but Lydall Woods is a "Planned Unit Development", not a condo, and according to the association documents, the responsibility is Patti and Kathy's alone. "The maintenance, repair and replacement of any part of the building, including the basement, falls on the individual owner of that residence," said Perlstein. But the logistics are tricky. Their building has 4 units, but only one foundation. "Everybody is tied in together, so if you wanted to fix your foundation, you wouldn't be able to do it unless you were able to convince the neighbors to do it too," said Don Childree. At this point, Patti Cocuzzo says any plans to move are on the back burner. "We've been told the place is not sellable, or we'd have to sell for maybe $50,000 or less," Cocuzzo said. 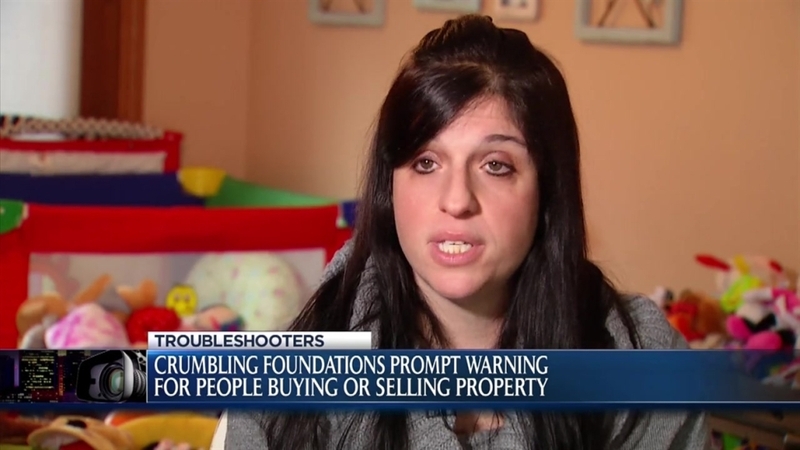 They did contact the seller who said they had no knowledge of any foundation issues in 2011, when they sold the unit. At this point, Patti and Kathy have filed an insurance claim, but, like many homeowners in eastern Connecticut , they're waiting to learn whether any money will be made available to help them replace their foundation.